I’m always on the lookout for those spaces in my life—the gaps—where there is opportunity for me to improve my personal or professional life. On a recent business trip, despite what I thought was really great planning, I faced a pretty significant gap. Let me tell you what happened to me because I’m sure you’ll get a kick out of this. So, heading into this crazy busy week of travel and incredible variety that took me from Paris to London to Idaho to Vegas to deliver keynotes, all-day leadership training and custom presentations, I was mindful of what I needed to do to keep my mind, body and soul sharp. Even though I jumped 8 time zones and back again in the course of a few days, I wanted to stand out for my clients and deliver maximum value. So, I stayed hydrated. When I was tired, I slept. I exercised and ate well (it can be done). 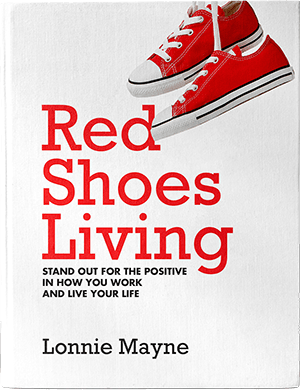 When I was awake and feeling good, I worked in true Red Shoes fashion to improve my presentations and give value back. All seemed to be going great until I wrapped up my presentation in Birmingham, England, and realized I did not have enough time to make it back to Heathrow via the 2 ½-hour train ride to catch my plane back to the States. This wasn’t a good thing, because I had two more clients that were counting on me. Major gap identified. And, yes, I got my share of “Lonnie, what were you thinking?” Turns out my plan was flawed from the start. Once that time gap was identified, I started to brainstorm ways to resolve it. At this point, no idea was a bad idea from chartering a helicopter—I was committed to resolving this gap—to hiring a driver to rush me to the airport and more. Ultimately, I hired a driver who delivered me to the airport in time to catch my flight. Gap closed. Lesson learned. When you jump on the London Tube, you are reminded to “mind the gap,” the space between the station platform and the train door. As a Red Shoes Leader, this phrase is a great reminder to mind the gaps in your personal and professional life. And when you identify a gap, to take action to close it to help you bring the best version of yourself to any situation. When you’re a leader or just all-around athlete, there are no typical days. To stand out in everything you do in the positive, it’s important to “mind the gap.” You must analyze each day to become aware of gaps in all areas of your life, and then plan to close those gaps. And you will encounter all kinds of gaps. So, I encourage you to find those spaces in your day and life and fill them up with improvement, joy, health, learning and organization. Let’s look at a few examples. You can experience a performance gap in your everyday routine, it doesn’t have to be a result of poor business travel planning. There are all kinds of ways to perform and time management is a big part of that. Some people waste the first few hours of the day and need to close gaps in their time management techniques to perform better. It’s also about what meetings to attend and which ones to skip. 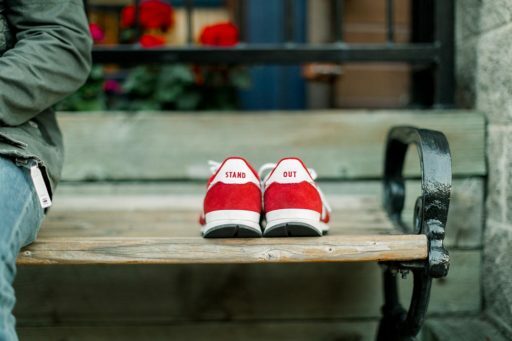 Ultimately, I coach Red Shoes Leaders to state the objective in everything they do, plan and execute to it and then measure to see results—I call this baseline, where you honestly assess where you’re at, and build. You do this every single day. When you are focused on the objective to achieve and your desired result, you won’t get lost. You should have daily, weekly and annual objectives. When your work and home life are out of balance, you might be experiencing a personal gap. We all have passions outside of work and when we don’t allow time to pursue those, we have a personal gap. What can you do today to close that gap? There’s no time like the present to pursue your dreams, goals, hobbies and time with family and friends. Are you not getting enough sleep or prioritizing exercise? If you don’t take care of yourself, you won’t be able to bring your A game to work and to your personal relationships. The first step is to identify the gap. The next and a very important step is prioritizing your own self-care to sustain your high performance. This is critical, especially in today’s crazy world. Hard-charging Red Shoes-type Leaders must mind their gaps. We all have them, and they’re OK. But Red Shoes Leaders assess where they can improve incrementally in every area of life. Reflect on what went well and where you might be able to close gaps to improve your performance and productivity. At the end of each day, ask yourself: “Did I give my best today?” Did you leave it all out on the field like my grandma used to ask me at the end of the game as a young athlete? If you waiver at all in this holistic assessment of your day, then there is a gap you have the opportunity to close. I don’t want you to drive yourself crazy, but being aware of how to close gaps to be a better version of yourself is the first step to becoming it. Red Shoes would say, if I worked a little bit harder, would the results be a little bit better?